The German manufacturer Altenloh, Brinck & Co are well known in the Automotive trade for the manufacture of components used by BMW, Audi and the Volkswagen Group. In 1967 the company (informally ABC) introduced Spax specialising in screws, bolts and aggregate fixings. Spax screws are considered amongst the highest quality on the market and identifiable due to their unique corrugated thread. This feature allows for smoother penetration into the wood, reduces splitting and means that (in general) pre-drilling can be dispensed with altogether. SPAX offers performance solutions for professional users. SPAX is committed to trade especially carpenters and joiners. Suitable for timber construction and interior applications: for floors, ceilings, in kitchens and bathrooms, at facades or in gardens – everywhere where wood is used! SPAX has also become the product of choice in window construction and window installation. SPAX also offers a comprehensive range of products to serve both the skilled DIY specialist and the occasional handyman. Suitable for drywall or timber construction, floorboards and decking, for terraces outside or wooden floorings inside. Cylindrical-head for special applications eg. decking. 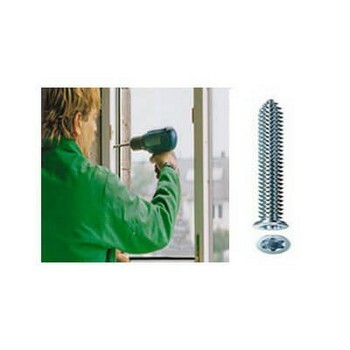 Spax screws finished with anti-corrosion coatings Yellox and Wirox. Both Yellox and Wirox free of Chromium 6 – a toxic substance previously used in the manufacture of screws.